Ahead of the PCI move to deprecate the use of ‘early TLS’, we’ve previously taken steps to disable TLSv1.0. In this post, we’ll cover Percona’s thoughts about the current MySQL community discussion happening around MySQL LOCAL INFILE security issues. This post is released given the already public discussion of this particular issue, with the exploitation code currently redacted to ensure forks of MySQL client libraries have sufficient time to implement their response strategies. In the last few days, there has been information released about yet another alleged data leak, placing in jeopardy “…[the] personal information on hundreds of millions of American adults, as well as millions of businesses.” In this case, the “victim” was Exactis, for whom data collection and data security are core business functions. Docker 1.12.6 was released to address CVE-2016-9962. CVE-2016-9962 is a serious vulnerability with RunC. xbcrypt to create encrypted backups, and are using versions older than 2.3.6 or 2.4.5, we advise that you upgrade Percona XtraBackup. Note: this does not affect encryption of encrypted InnoDB tables. Percona has addressed CVE-2016-6663 and CVE-2016-6664 in releases of Percona Server for MySQL and Percona XtraDB Cluster. 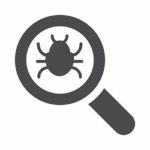 This blog is an announcement for a Percona Server update with regards to CVE-2016-6662. We have had to revert back to TLSv1.0. If you saw my previous post on TLSv1.0 (https://www.percona.com/blog/2016/05/23/percona-disabling-tlsv1-0-may-31st-2016/), you’ll know I wanted to deprecate TLSv1.0 well ahead of PCI’s changes. We made the changes May 31st.